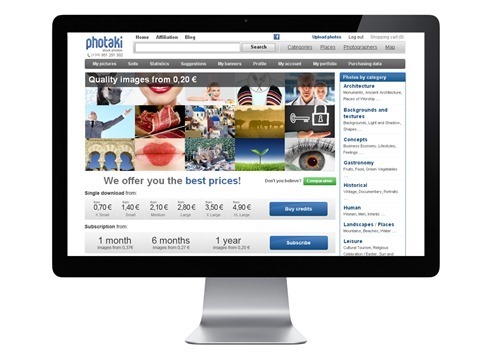 Photaki: Sell Your Images. | Site of the Day | All Free Web Resources for Designer - Web Design Hot! 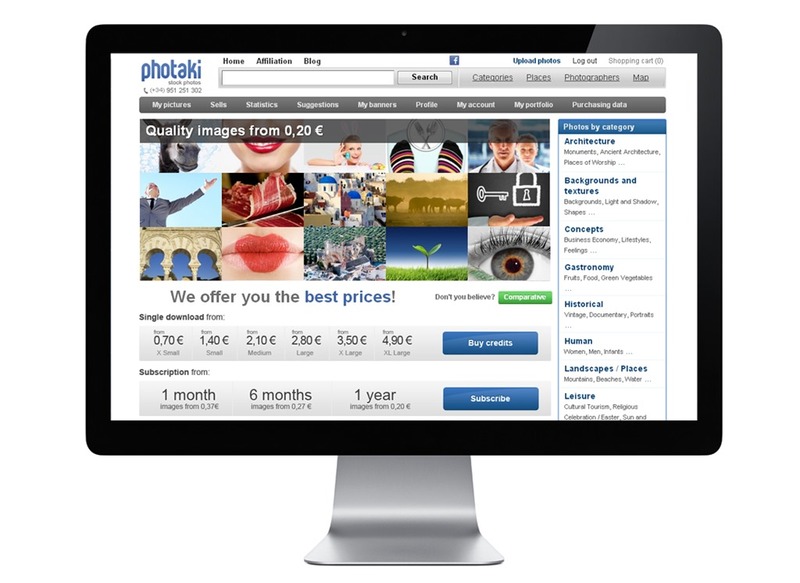 Today we’ll review the website Photaki, a microstock agency created by photographers and designers. Now, it’s one of the fastest growing archives of the Web. If you need high-quality images or you’re photographer or designer and you want to sell your work, this is one of the best options out there. How can you earn money with microstock? This specific company offer you 3 different ways to get it! 1 – SELL your photos. Also the offer details of your sales in real time, unlimited storage of photos and detailed statistics on visits and sales. Not to forget about the exclusive professional portfolio for staff. This is absolutely free! You get to choose one of these methods: Text, Links and/or Banners. Simply copy and paste the code for the text links or banner on your website or blog in each case! It’s easy, isn’t it? Every single purchase that your recommended customers make will bring you 15% of the profits (cash out at any time through a Paypal account). 3 – RECOMMEND other photographers. With Text, Links and/or Banners, when a new photographer is brought by you on Photaki, each of his sales here will earn you 10% of the profits (cash out at any time through a Paypal account). If you need images, choose Photaki. We know graphic designers have to look for a lot of resources and you have little time. This entry was posted on Friday, February 1st, 2013 at 2:01 am and is filed under Site of the Day . You can follow any responses to this entry through the RSS 2.0 feed. You can leave a response, or trackback from your own site.